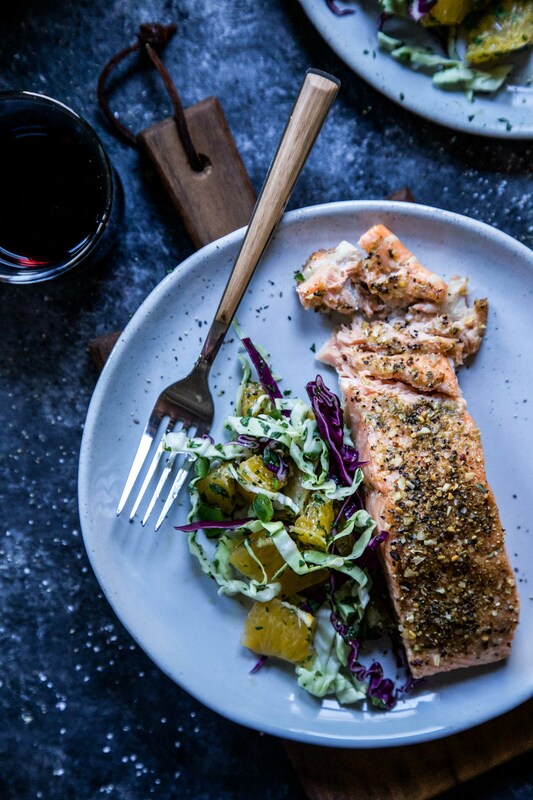 This simple Cuban-spiced salmon with citrus slaw makes the perfect weeknight dinner. Created by Lauren from Climbing Grier Mountain, Cushman’s HoneyBells add a fresh brightness to this quick salmon recipe. I’ll admit that when it comes to meal planning, I will not win any awards. BUT! That doesn’t mean a healthy, yet satisfying, meal shouldn’t be within my grasp. 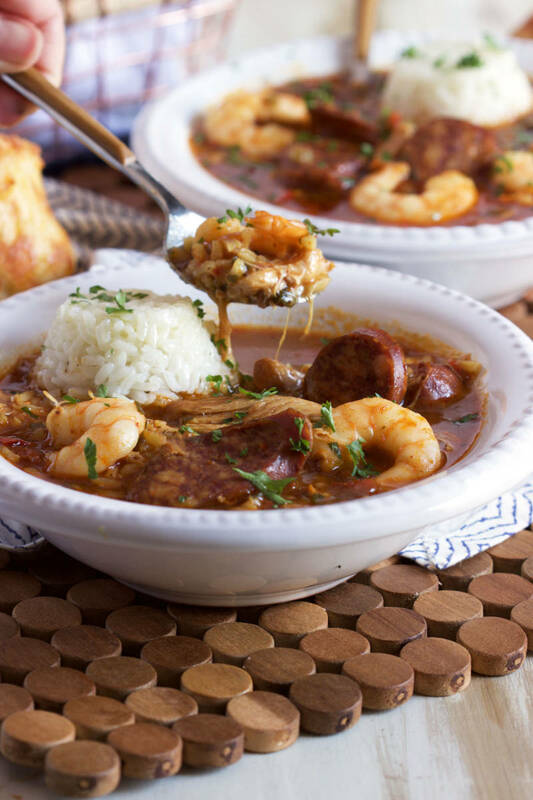 I could just settle for Instant Pot wonder recipes. While that’s an easy option, I like to have a few more recipes in my arsenal. Enter this Cuban Roasted Salmon with Orange Citrus Slaw. My go-to when I want a quick and flavorful meal in 15 minutes or less. Yes, you read that correctly– 15 minutes! Sprinkle the salmon with some Cuban seasoning and bake. The slaw is made with Harry & David Cushman’s HoneyBells, which are a cross between a tangerine and a grapefruit. Slightly sweeter in taste, these HoneyBells are a perfect counterpart to jalapeño, cilantro, lime juice, and cabbage. Mix all the ingredients together in a bowl, place a spoonful on top of the salmon, and let your 15 minute vacation begin. Preheat an oven to 400 degrees. Line a baking sheet with foil and spray with non-stick cooking spray. Place the salmon filets on the baking dish. Pour the olive oil over the top of each salmon filet followed by Cuban seasoning, salt, and pepper. Place the baking sheet into the oven and cook the salmon for about 12 to 14 minutes. While the salmon cooks, prepare the slaw. Peel and remove the white part from the Cushman’s HoneyBell. Using a paring knife cut between the membranes to release the segments from the HoneyBell. Give a squeeze to the membranes over a large bowl and then place them on a cutting board and cut into bite size pieces. Place the pieces into another bowl followed by the jalapeño, cilantro, lime juice, Napa cabbage, red cabbage, salt, and pepper. Stir to make sure everything is well combined. Next, remove the salmon from the oven. 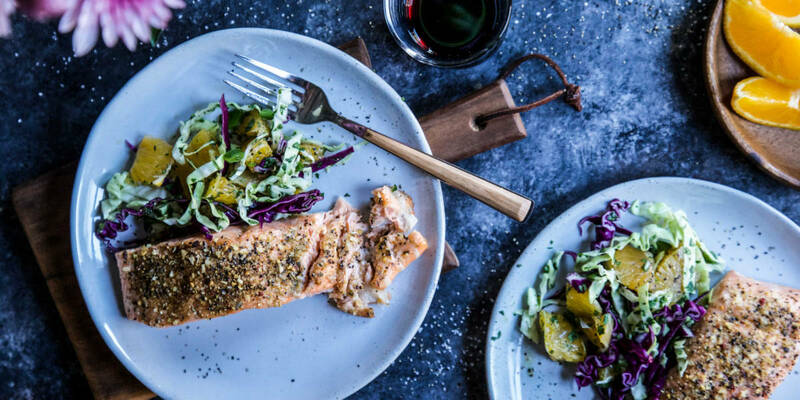 Place a filet on a plate and top the salmon with a spoonful of the HoneyBell citrus slaw. Repeat until all filets have been plated. Serve and enjoy! 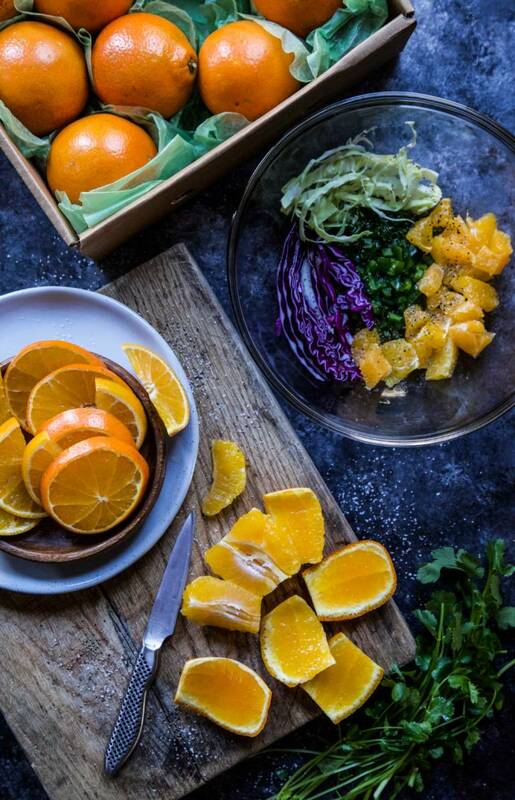 Looking for more ways to enjoy your favorite citrus? Try these recipes! I love anything with citrus in it. This is so simple to make and I love the sweet and sour taste in the salad. Thank you for sharing.